Sleeping masks have a bunch of benefits, and one of them is their ability to give you assistance in your lucid experience! 1. What is a sleeping mask good for? 1. 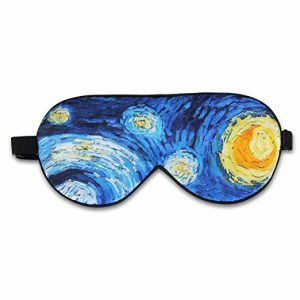 What is a sleeping eye mask good for? 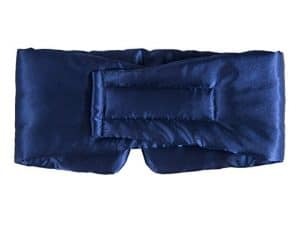 Sleep masks are helping people to get the sleep they need, and despite the fact that they are simple inventions, yet they are one of the most effective solutions. The exposure to light during sleep interferes with your sleep cycle, preventing you from the long and deep night’s rest. 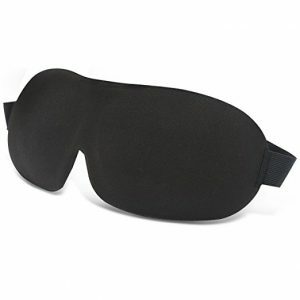 Sleeping masks are working by blocking unwanted light, resulting in pure darkness. When the brain senses this state of total darkness, the body produces melatonin– a hormone that helps the body to enter deep sleep faster. The whole idea of all of the masks is to give you restful relaxing sleep. And here is the important connection! 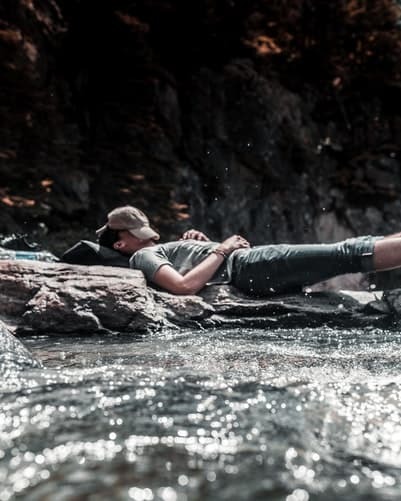 If you want to be a lucid dreamer, you NEED to have a restful and relaxing sleep. The masks are completely safe to use and even better they are generally inexpensive! They are the natural way to help us get to sleep faster and stay asleep! Also, they are a good way to make lucid dreaming accessible to everyone and to make it easier. 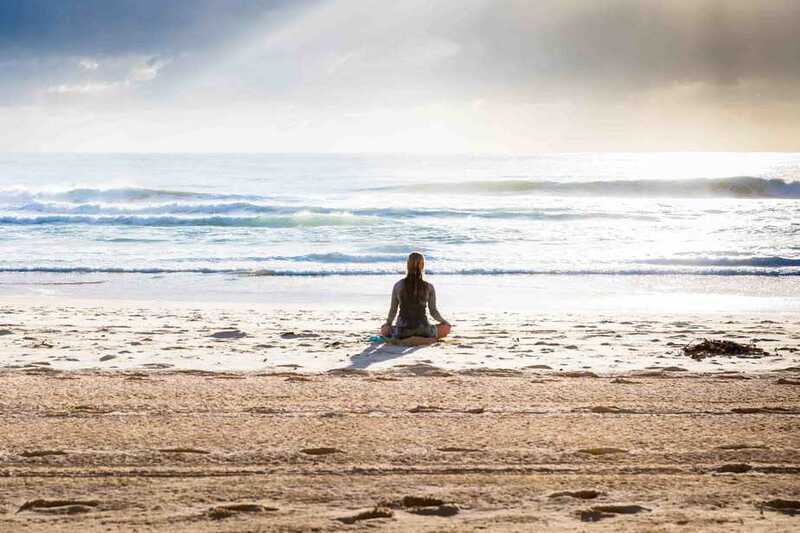 The two biggest distractions from a proper rest can be noise and light. The truth is that any form of light (lamps – in your room or the ones on the streets outside, TVs, moonlight, sun, etc.) can keep people from reaching a deep and restful sleep. 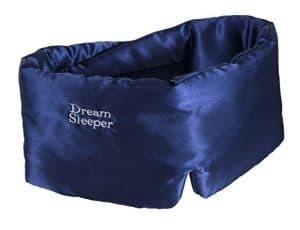 Since we all are different and we are having individual needs, there are all different types of sleeping masks, that are going to fix exactly YOUR needs! 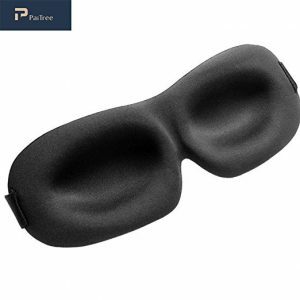 For instance, the most wanted and obvious advantage of eye masks is that they block ALL the light, but perhaps, you will need something a little more than that. There are additional features and options that can provide some extra comfort. 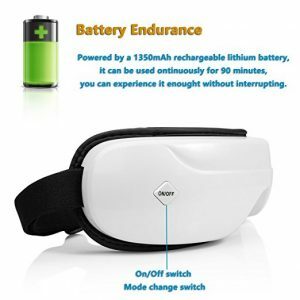 What is more, a sleeping mask can be a great option to give assistance to your lucid dream experience! The stimulation of the nerve that transmits visual information from the retina to the brain is actually causing changes in our brain which keep us from remembering our dreams. So wearing a sleeping mask can simply help us to remember our dreams, which is essential for lucid dreaming. 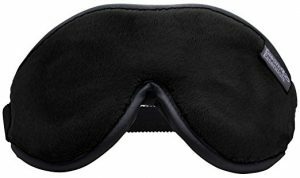 Sleeping masks can be really useful to trigger lucid dreaming. If you wake up with your mask on, you will know that you are awake, but if you are without the mask, then BOOM! 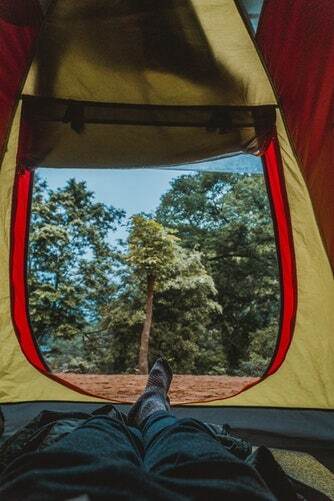 You will know that you are dreaming. Fake awakening is common and a lot of people experience it. You can read more about it HERE. Meditation in darkness is not something new. It is a practice that has been used for thousands of years by spiritual seekers and sages. In advanced practices in the Taoism and Tibetan Buddhism, “dark retreats” are used to stimulate the pineal gland and the natural production of DMT ( also known as the “spirit molecule”) in the brain. This causes expanded, transcendental states of consciousness, clear visions, and feelings of compassion and oneness. Melatonin, the ‘sleep molecule,’ is produced also in the pineal gland. Darkness causes the brain to synthesize the molecule melatonin, which induces sleep and different modes of consciousness! 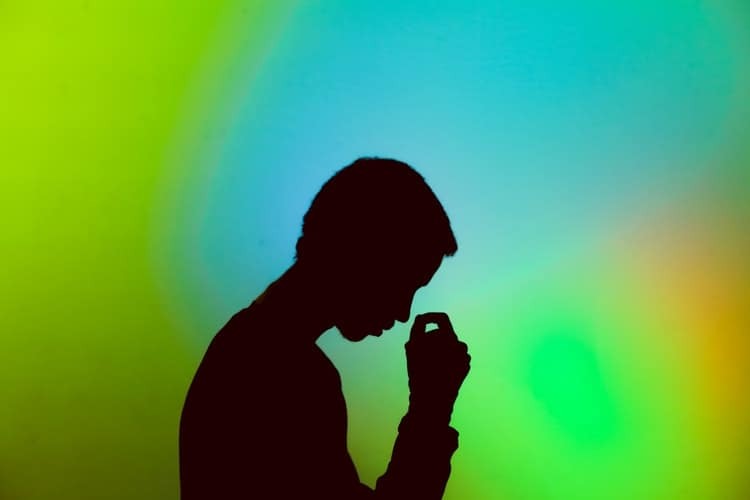 According to Mantak Chia (a Taoist Master, teaching Taoist practices), a totally dark environment, is a distraction-free reset of the mind from its preoccupation of the senses, making it an ideal environment for self-inquiry and meditation. 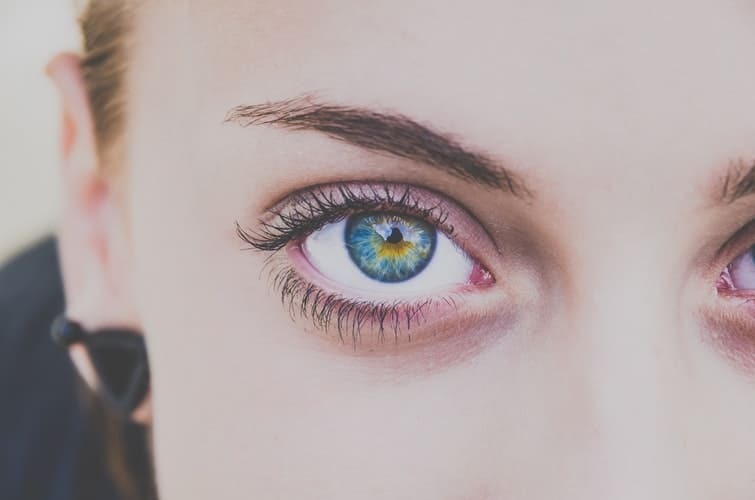 So, by eliminating any visual stimulation, your awareness is more easily focused inwardly, speeding up your entry into that dreamy realm of meditation. 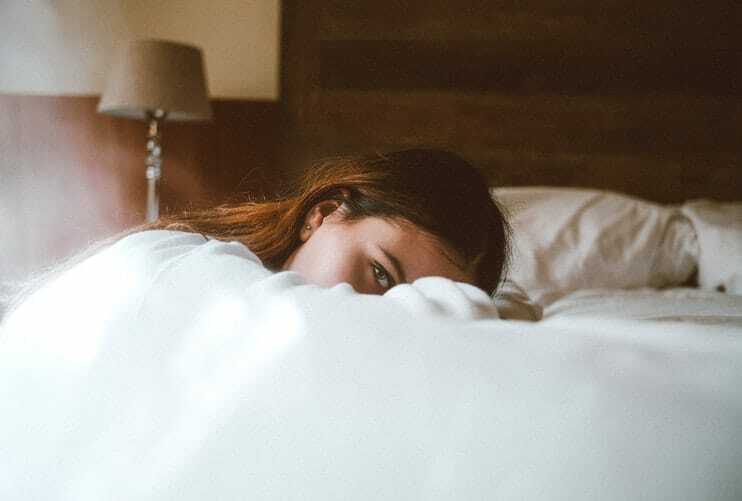 Sleep cycles can be ” disturbed” in so many ways – traveling across time zones, working a night shift, drastic weather changes, migraine, feeling under stress, not getting enough of rest. 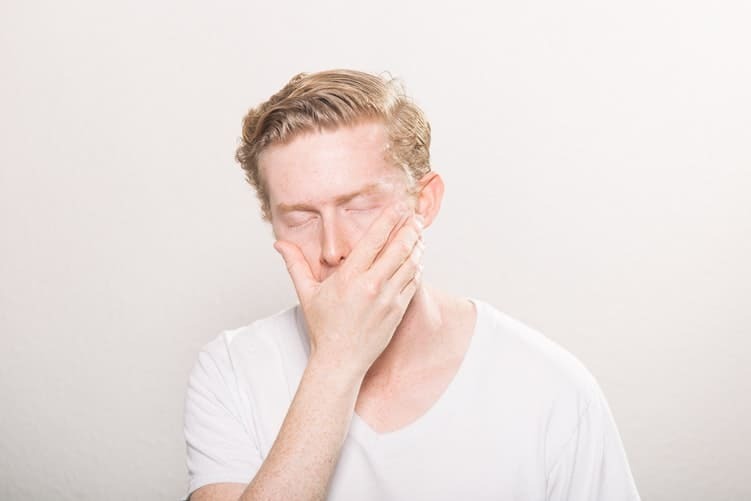 It can be difficult to recover your normal sleep patterns. Masks can help because of its effectiveness as a sleep aid due to the light blocking factor. They will reset your internal body clock and get back to a normal sleep schedule. 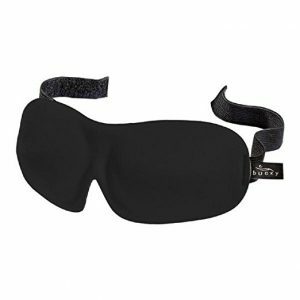 Sleep masks help you with dry-eye suffers and dark circles too. 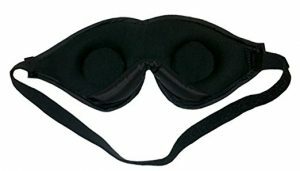 You can also get sleep mask that has aromatherapy properties, which will help reduce stress and help you to relax easily. 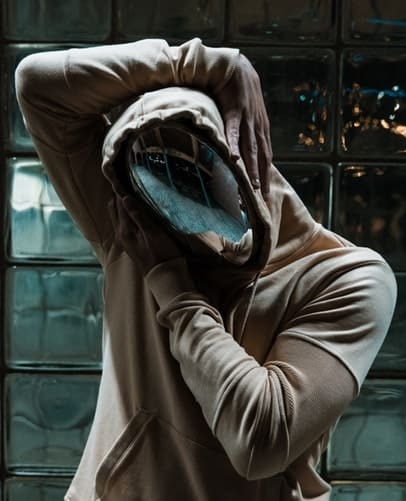 The mask is specifically designed with the utmost comfort in mind — it has a soft, ultralight design, that blocks light fully. 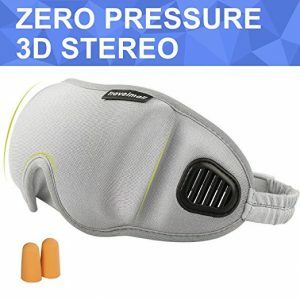 It literally ”hugs” your face without pressure using the adjustable Velcro strap that connects at the back of the head. Made with a fabric that is breathable, flexible, and durable! Really comfortable, made with natural cotton for sensitive facial skin. Is blocks the light 100% and also it good also for side sleepers. The Nidra mask is super light, comfortable, guaranteeing to enjoy an uninterrupted, deep, restful sleep. Using the mask you will feel well-rested and refreshed. It blocks completely all of the light so you can nap, sleep or meditate anywhere. 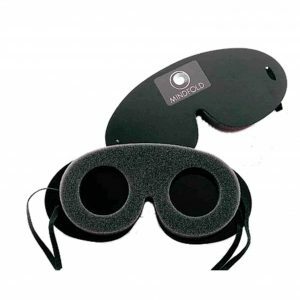 The AMAZKER Eye Mask has a great 3D and nose design, which makes it really comfortable. 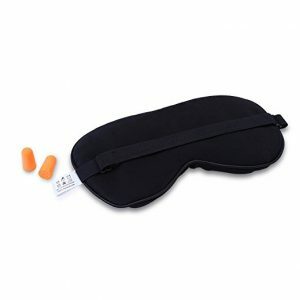 the sleeping mask comes with a pair of earplugs, which will block all of the unwanted sounds, too! Before launching, there were made a lot of tests that proved that it blocks the light ideally! It helps you to get the perfect rest and to fall asleep faster! 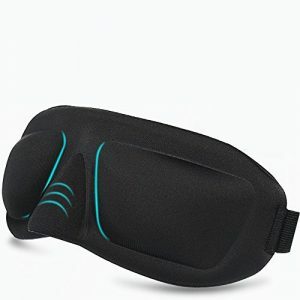 As all of the others, this sleeping mask will block the unwanted light in an incredibly comfortable way. It will help you to fall asleep faster, deeper and for longer. DreamTime Inner Peace is filled with a blend of flax, lavender, chamomile and orange granules. 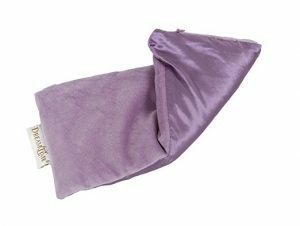 It is a is a sensory relaxation tool and a calming eye mask – the aromatherapy lavender induces an aura of wellness and relaxation, while it allows you to rest, sleep or meditate! The luxurious fabric is cool to the touch, allowing the eye mask to conform to the contours of your face. 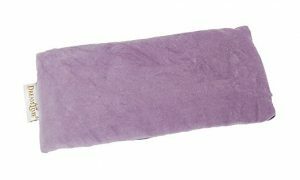 Natural silk sleep mask, that feels smooth against your skin. Hypoallergenic, which makes it great for those with sensitive skin. The pure soft silk makes the mask breathable and perfect for relaxation. It comes in funky colors and also in 2 different variations! 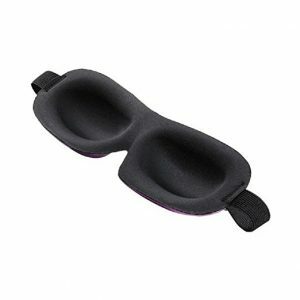 The eye masks are made with an opaque, high-density Memory Foam. They are super thin, light and breathable, naturally soothing to the skin. 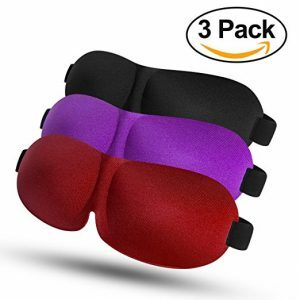 the package Includes 3 sleeping masks! This one is a bit more special! 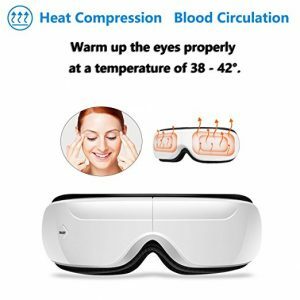 It is a multi-functional eye massager. Massage can relax your nerves and help you sleep better. Can be used for reducing eye fatigue, dry eyes, and it relieves pressure. This one is having a “Nose guard”, meaning that there is extra padding which adds thickness to the space that covers the nose area. 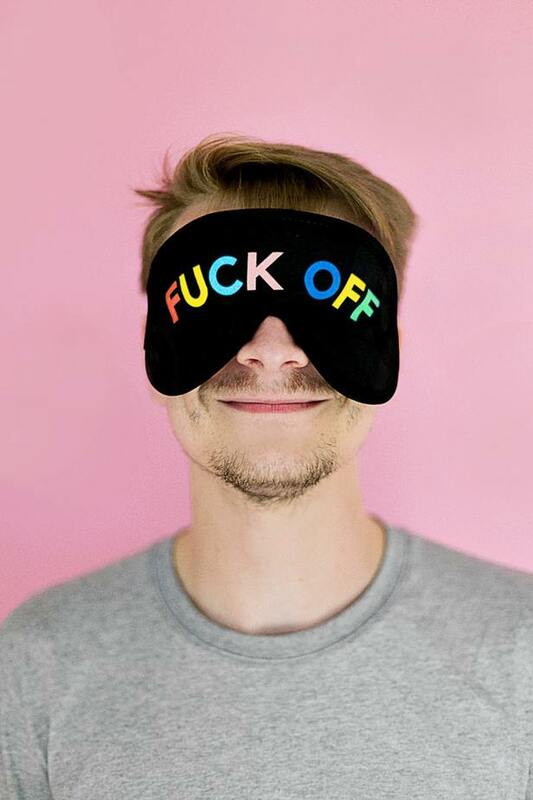 It feels soft and makes the eye mask 30% more light blocking. The eye space on this one is wider and deeper than the traditional eye mask. That creates no pressure on your eyeballs as the normal flat mask. Hypoallergenic and latex free, the mask ensures comfort and will block fully out all of the light while you sleep. 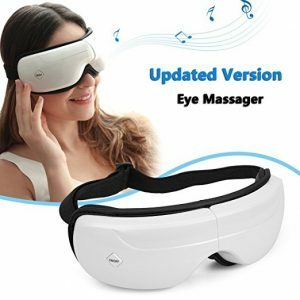 This mask provides skincare therapy to eliminate dark circles, improves the blood circulation around your eyes and gives you a relaxing eye therapy. The mask keeps eyes well rested under the tender care of 6 built-in neodymium magnets. PaiTree mask is made with low rebound memory foam and fine fiber fabric ensuring softness and comfort. • A mask that completely blocks out all the light as light leakage will decrease the effectiveness. 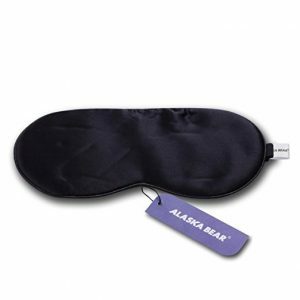 • An eye mask that is comfortable so you can almost forget about it and disappear into the deep and restful relaxation. 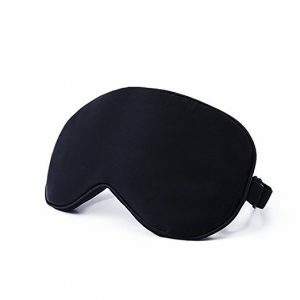 • If you know that you are moving a lot during sleep, be sure to get a mask that DOES NOT fall down while you sleep. Without a good fit, you won’t sleep better, and you’ll likely have a harder time to induce the lucid dream state. For instance, if you think you won’t feel comfortable if the mask touches your eyes, look for one with deeply molded eyecups. facial features, budget, sleep position, additional features of the mask, etc. 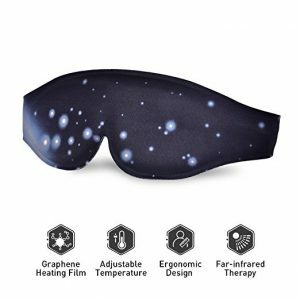 Do you have any information on sleep masks with light emitting pulses to help with insomnia? We don’t have, but it sounds like an interesting topic! Maybe we will look at it closely and write something about it!